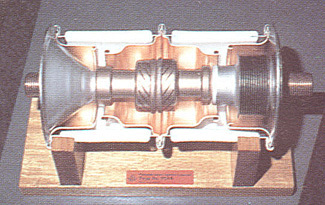 Henson Ceramics Limited has an in house metallisation facility for the bonding of molybdenum and moly / manganese to alumina ceramic under high temperature, controlled atmosphere conditions which subsequently allows the ceramic to undergo conventional brazing to form a vacuum - tight ceramic to metal bond. 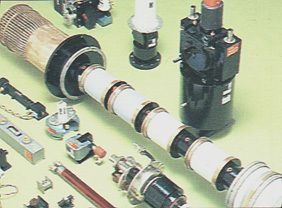 Such components are used in high power applications for example, and others which require good electrical insulation, high thermal shock resistance, high mechanical strength, and good vacuum integrity. courtesy of Vacuum Interrupters Ltd.
HCL manufactures all of its inks and coatings in house, making it possible to cater for almost any specialist coating application. 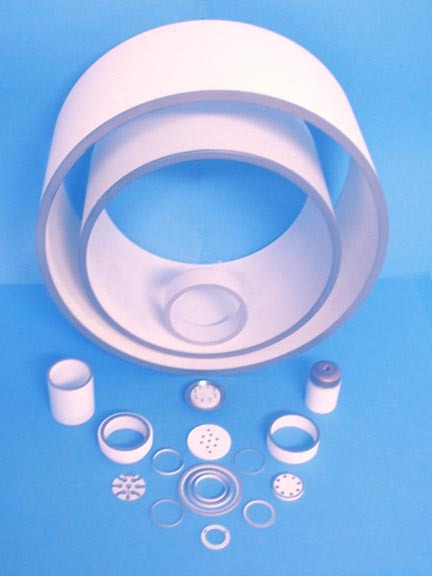 Facilities are also available for the bonding of silver, platinum, gold, chrome, nickel, and a variety of cermets to the entire range of ceramics. A multiple layer and multiple phase approach is adopted for the majority of coating applications. An in - depth knowledge of the effect of particle size distribution and reactivity of the various fillers / fluxes which are employed allows the ultimate deposit to be achieved. courtesy of EEV Co. Ltd.